The carbon-neutral Pavilion building at Nottingham Trent University’s Clifton campus has won a Guardian University Award. It won the category for Buildings that Inspire - awarded to an ‘outstanding initiative’ that creates and champions a more sustainable living and working environment in the university and beyond, with a demonstrable and lasting legacy. 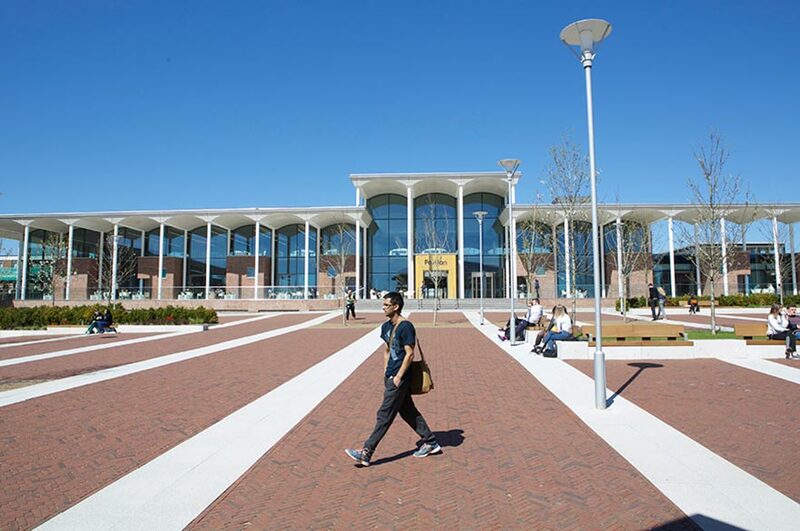 The campus building, which opened in 2015, has already achieved a list of accolades including the Royal Institute of British Architects (RIBA) East Midlands Awards (Client of the Year Award), Royal Institution of Chartered Surveyors (RICS) East Midlands (Regeneration Award), the East Midlands Celebrating Construction Awards (Integration and Collaborative Working Award), and the Considerate Constructors Scheme National Award. The Guardian University Awards were presented by Lauren Laverne at a ceremony on Wednesday, March 29. The Queen's Anniversary Prize for Higher and Further Education was awarded to Nottingham Trent University in November 2015. It is the highest national honour for a UK university and recognises the institution’s world-class research. Pioneering projects to improve weapons and explosives detection in luggage, enable safer production of powdered infant formula and combat food fraud led to the prestigious award.